Today I watched Breakfast at Tiffany’s and it really got me thinking. More than half a century later, New York women are still the exact same. It’s no surprise that it was recently on Broadway—it’s incredibly relatable. 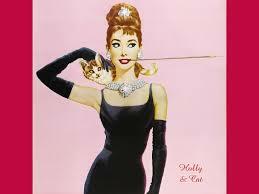 Don’t we all have a Lulu May turned Holly Golightly alter ego in some capacity? Spoken from a background of being born and raised in small-town America, in a place where wooden posts are standard at the local Wal-Mart for the Amish to park their horse and buggy. No exaggerations here. I’m a southern girl, moved on to the big city. I jumped on the opportunity to move to New York City years ago to conquer my fashion dreams. Dreaming of big city lights, glamour, and a lifestyle like those on TV. Coming from a suburban, country lifestyle– Golightly did the exact same as many of us did. A lot of New Yorkers are not actually from the city itself. It’s a city for dreamers with big ambitions and full of those with “I can do anything” attitudes; all of which are a necessity to make it here. Really—it’s a large community of NYC imports from all over the country and world. Holly Golightly is a dreamer. A dreamer of glamour, money, and a luxurious lifestyle. She goes through painstaking relationships in search of money that would support her dream lifestyle, which comes with its own ups and downs. She hides her country background with a socialite persona. Big parties, big hair, fabulous attire, rubbing elbows with rich society people, all while having very little belongings to her own name. Running away from being tied down by a relationship, but also looking for a relationship. A classic catch-22. At some point, I imagined that being me. At one point in my life, I was living out of a storage unit in the depths of Chelsea, when 4 kind girls took me in at their Harlem apartment. I lived the big NYC life despite the lack of funds. Parties with infamous auto-tune artist T-Pain, VIP fashion week parties and fashion shows while networking with big fashion executives. Would anyone have known I was living a double life? Of course not. I was being myself, true to my personality—without letting people know my income. Would anyone have known I was sharing a bed in Harlem with the girls that took me in? If you dress the part—who’s going to question it? Ms. Golightly made it work, and so did I. The champagne before breakfast mentality—a fabulous, lush lifestyle idealized by us dreamers. You want it—you make it happen for yourself and jump over the obstacles thrown at you with a hop in your perfectly polished high-heeled step. Ms. Golightly reflects on her “rats” and “super rats” she’s dated. Sternly kicking crazy men out of her apartment on a regular basis, she was no stranger to dating. Living in the land of the most single people per capita, there are more than 200,000 more single women than single men living in the city today. Call it a “repercussionless dating” mentality, but men treat dating like it’s nothing to them, as there are many other fish in the sea. As a result, women have been lowering their expectations and generally giving men the upper hand. Reminds me of the Seinfeld episode when Elaine is dating a man and tries to have the upper hand throughout the episode. Over time I think the ups and downs of dating get to all of us, creating a numb, and maybe even jaded mentality to it—with high hopes of finding the right one. Or better, snagging them from another state and bringing them here. The New York “imported men,” as I call them. Women gaze at their couple-friends that have men they met in other states than New York. “Oh, it’s because they’re not from here,” we all sigh. 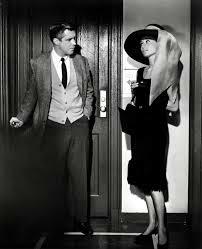 Dating scene or not, we all reflect a bit of the Holly Golightly ideals and lifestyle. A poor girl aspiring for the luxe lifestyle we want out of the big apple. To what extent will we go? Money to “go to the powder room?” Probably not. But in our own ways, we side step these morals we came into the city with and look the other direction to make it happen. Unless you live here yourself—it’s difficult to understand what hurdles are jumped to continue living here. We all need a Paul to whisk us off our feet. We are living the American dream, aren’t we? « Street Style: Happy 4th of July! I dream of glamour, of magic, and of Holly– a true dreamer full of glamour and a life lit by magic. Most importantly I want to be a wild thing, to belong to someone and have someone belong to me.